Spacious room, great location, they provided cake and balloons for my son’s birthday. Staff, services and overall location .. perfect for a mother daughter time! I would certainly return!! Merci beacup !!! Everyone was so lovely and accommodating in every way! They made my birthday a truly special day despite me not asking for any extras they went above and beyond!!! 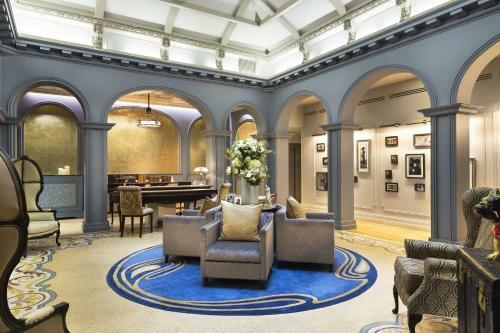 The property is within walking distance of the Louvre and plenty of shopping and eateries. The suite was very nicely decorated and well appointed. The staff was very friendly and helpful. I thoroughly enjoyed my stay there and would love to someday be able to stay there again. 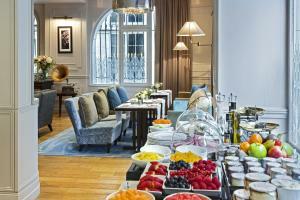 Great hotel for a long stay in Paris, very convenient for families. Terrific location. Fantastic, helpful staff. Perfectly clean room. Lovely sitting area for tea time. Breakfast service was fabulous; a bountiful spread featuring this best scrambled eggs in France! Rooms come with wonderful bath amenities, including very plush slippers. 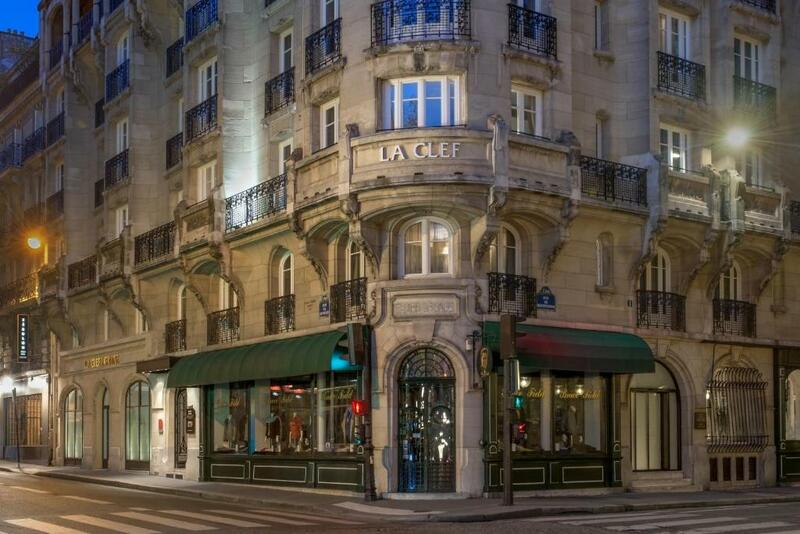 Lock in a great price for La Clef Louvre – rated 8.9 by recent guests! One of our top picks in Paris.Located in central Paris, La Clef Louver is located opposite the Comédie-Française, 1,650 feet from the Louver Museum and Jardin des Tuileries. It offers modern, air-conditioned suites with a fully equipped kitchenette. Additional facilities at La Clef Louver include a fitness room and a 24-hour front desk with dry cleaning and laundry services You can relax in the lounge equipped with an LCD TV, a computer with free internet access and a printer. La Clef Louver is 350 feet from Rue Saint-Honore and 2,650 feet from Opera. Palais Royal - Musée du Louver Metro station is 450 feet from the hotel, giving direct access to Bastille and La Defense. 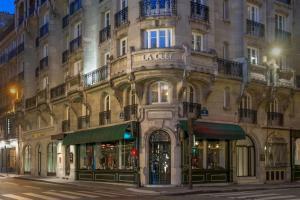 When would you like to stay at La Clef Louvre? This suite is made up of 1 bedroom, an private bathroom with a built-in shower and a kitchen with a Nespresso coffee machine. It features an LCD TV, a cordless telephone and an iPod docking station. Please note that this suite can only accommodate 2 people. This spacious suite is made up of 1 bedroom, a living room and a fully equipped kitchen with a Nespresso coffee machine. It features an LCD TV, a cordless telephone and an iPod docking station. The private bathroom has a bathtub with an integrated shower. With a balcony overlooking the Louver district, this suite is composed of a bedroom, living room and equipped kitchen with Nespresso coffee machine. There are 2 flat-screen TVs, a telephone, iPod docking station. The bathroom offers a shower with essential oils diffuser system and L'Occitane amenities. Please note that this suite can only accommodate 2 people. Twin beds are available on request. A personalized welcome with welcome drinks awaits you upon arrival. House Rules La Clef Louvre takes special requests – add in the next step! La Clef Louvre accepts these cards and reserves the right to temporarily hold an amount prior to arrival. The locatin of residence was excellent, so that I can reach almost everywhere in paris within 20 mins. In addition the bed in the room was very much comfortable. The quality of breakfast was also excellent. If I have a chance to visit Paris, I will stay again at La Clef Louvre. See you soon, ^^. The room was quite warm and due to the time of year we stayed the thermostat could not be turned down below 18 degrees. However, we mentioned this to staff and they immediately brought a fan to our room which was very much appreciated! Also the shower was a bit confusing to use. Brilliant location, perfect for tourists looking to explore. We loved being so close to the Louvre and plenty of restaurants nearby. There's a supermarket a couple of streets away which was very convenient. It was fantastic to have a well-equipped kitchen in our room too. The bed was comfy and we had a room at the back of the hotel which was a mostly quiet area at night. The staff were so accommodating and friendly. Nothing! 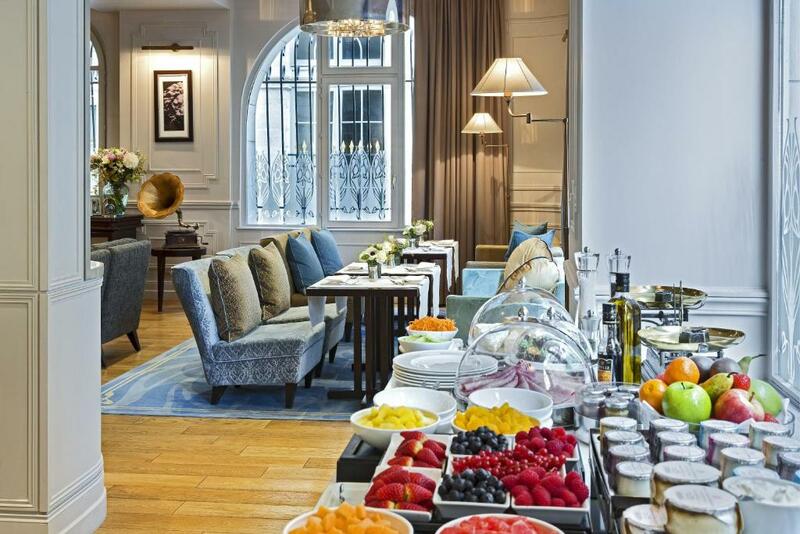 We liked everything about la clé L’ouvres even the caramel toffees from Angelina offered at the front desk. It is quite difficult to park the car , you need to find the city parking, but it is mostly the problem of Paris center..
Great location, fabulous boutique hotel, spotlessly clean and comfortable. Staff friendly, welcoming and helpful.